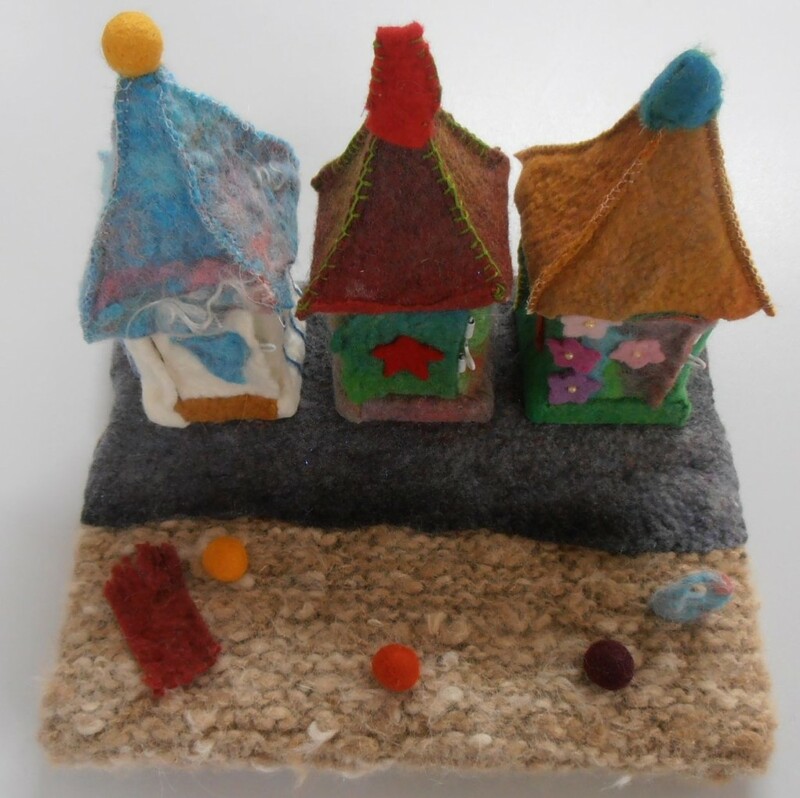 Lyn has felted another stunning, seaside themed table decoration for the Gathering. This one features bathing boxes that have working doors and items inside that one might need for a day at the seaside. Awesome work, Lyn!